LINAC'18 Proceedings has been published on Jan. 22, 2019. 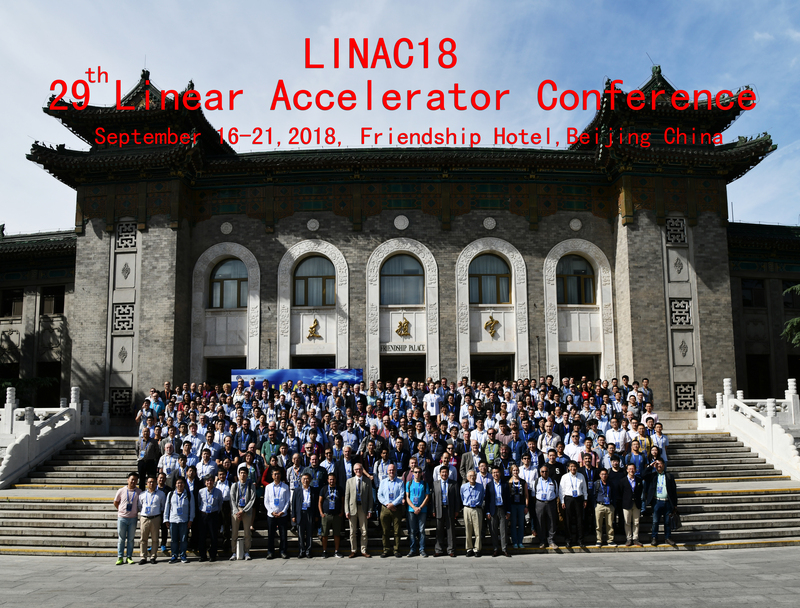 We are pleased to announce and invite you to the 29th Linear Accelerator Conference, LINAC 18, to take place at the Friendship Hotel and Conference Venue in Beijing, China on 16-21 September 2018. In the tradition of previous LINAC conferences, plenary sessions including invited speakers are scheduled every day. Poster sessions will be held on Monday, Tuesday and Thursday afternoons. There will also be two special events on Sunday, 16 September 2018 , namely a student poster session and an evening reception for registrants and their companions at the Friendship Hotel and Conference Venue. Participants are also warmly invited to join an outing to Summer Palace or Great Wall and the beautiful surroundings on Wednesday afternoon, and to visit IHEP major facilities or PKU as well as THU major facilities on Friday afternoon, after the formal end of the conference. Participants of LINAC 18 will include representatives of institutions and companies involved in the design, construction or use of linear accelerators. Companies interested in promoting their products are encouraged to hold a booth in the industrial exhibit and to apply for sponsorship.